Today, we’re going to walk you through the simple MRI conditions for MED-EL hearing implants in less than 5 minutes. Whether you’re a radiologist looking for clear MRI instructions for a hearing implant recipient or a clinician who wants to confirm MRI scans are an option for your BONEBRIDGE or SOUNDBRIDGE patient, we’ve got you covered. If you’re a radiologist, you’ll know the challenges that any kind of implant can present in an MRI. 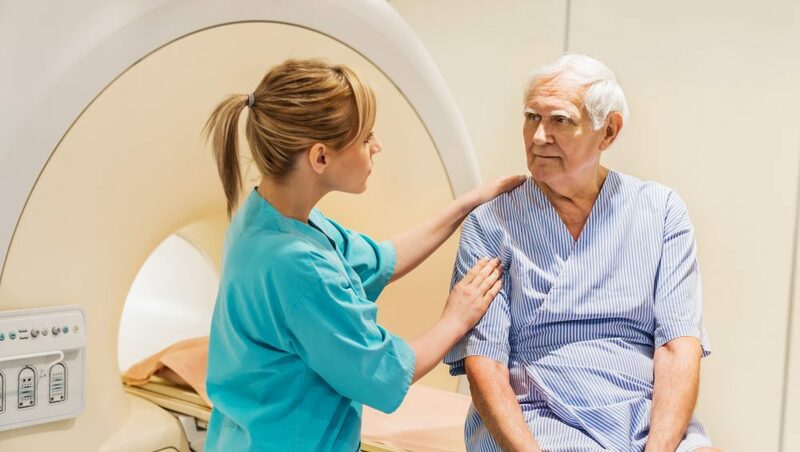 Whether it’s a cardiac pacemaker or an artificial joint, there are certain safety conditions that have to be followed while performing these MRI scans. And with thousands of different implants, keeping track of all of these MRI conditions can be difficult. For hearing implant recipients, the internal implant magnet can be seen as a serious issue, even for routine scans. With some hearing implants, the force between the powerful magnets of the scanner and the internal implant magnet can lead to issues of discomfort, pain, or even magnet dislocation. To avoid these issues, we’ve designed our hearing implants for superior MRI comfort and safety to ensure you can scan with confidence. The hands-on guides below will show you the simple conditions to follow when scanning recipients with a VIBRANT SOUNDBRIDGE VORP 503 Middle Ear Implant or a BONEBRIDGE Bone Conduction Implant. Looking for MRI conditions on MED-EL cochlear implants, including SYNCHRONY, CONCERTO, SONATA, PULSAR, or C40+? You’ll find those video guides on this post on MRI instruction for cochlear implants. By following these basic conditions, you can safely perform an MRI scan on VIBRANT SOUNDBRIDGE VORP 503 recipients. Please note, VIBRANT SOUNDBRIDGE VORP 502 Middle Ear Implant is not approved for MR scanning. You can also find the full up-to-date safety information at medel.com/isi. These simple step-by-step radiography instructions will show you how to perform 1.5 Tesla MRI scans on patients with a VIBRANT SOUNDBRIDGE VORP 503 Middle Ear Implant from MED-EL. This guide includes details of patient orientation, use of local receiver coils, and SAR limits. Please note, these conditions are only for CE-marked countries and Canada. Check out these step-by-step radiography instructions on how to perform MRI scans up to 1.5 Tesla on patients with a BONEBRIDGE BCI 601 Bone Conduction Implant from MED-EL. Includes details of patient orientation, use of local receiver coils, and SAR limits. Please note, these conditions are only for CE-marked countries and Canada. By following these basic conditions, you can safely perform an MRI scan on BONEBRIDGE BCI 601 recipients. You can also find the full up-to-date safety information at medel.com/isi. Have a question about MRI and MED-EL hearing implants? Leave a comment below or send us a message! Want more articles on MED-EL hearing implants? Subscribe now!